I get the privilege of doing photography for many of my clients’ websites. I absolutely love this aspect of my business…and am learning so much each time I do a shoot. Today I’m using Ring Flash for the first time (you’ve probably seen ring flash used in fashion photography for clothing stores or fashion mags). One of the “signatures” of this look is the cool halo it puts around the subject. OK, I’m a tech geek and I love new toys. First impressions? I LOVE this gadget! It’s amazing how this one style of lighting adds a whole “mood” to my shots. 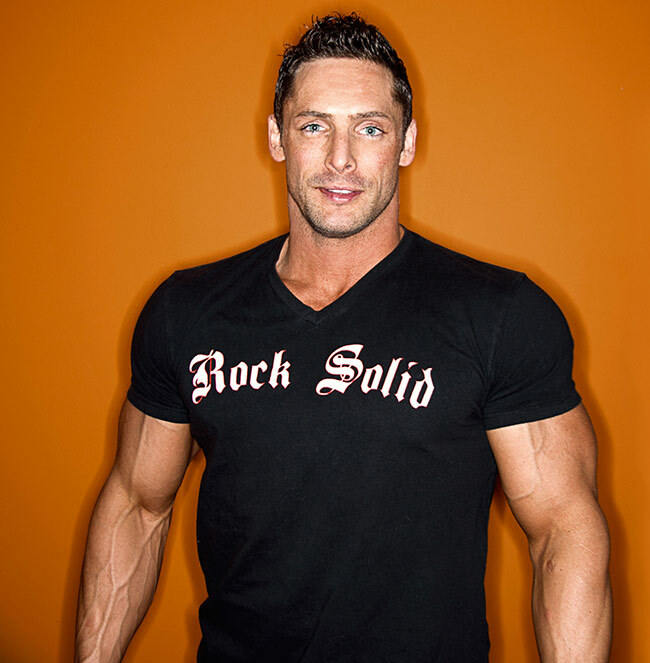 Here’s a test shot of one of my clients, Sean Harley for an upcoming set of product labels I’m designing for his new nutrition line called “Rock Solid”. AWESOMENESS!